The project involves the population sampling of Piper species and collection of samples from different population from forest areas of north east followed by phytochemical / pharmaceutical analysis of the samples using standard protocol. The final analytical work will be carried out with National Botanical Research Institute (NBRI), Lucknow. The soft copy of signed application with bio-data, contact details etc. must reach the Principal Investigator through email (prgajurel@gmail.com) on or before 23nd March, 2019. The candidates must bring original and attested copies of all documents with the bio-data at the time of interview. Applicants from other states may apply for Inner Line Permit (ILP) for entry into Arunachal Pradesh via http://arunachalilp.com/ (No TA/ DA will be paid for attending the interview). Junior Research Fellow Vacancy – Last Date 23 March 2019 (Itanagar, Arunachal Pradesh), North Eastern Regional Institute of Science and Technology (NERIST) recruits Junior Research Fellow Post. Candidate with M.Sc. experienced can apply. 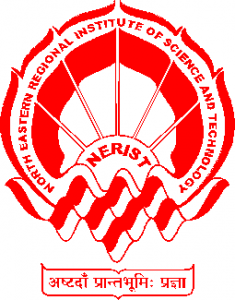 North Eastern Regional Institute of Science and Technology (or NERIST) is a science and technology oriented higher education institute in Nirjuli, Itanagar, in the Indian state of Arunachal Pradesh. Established in 1984, it is a deemed-to-be-university, autonomous, fully funded and controlled by the Ministry of Human Resource Development, Government of India.The institute is managed by a Board of Management, comprising representatives of MHRD, the eight beneficiary states of the North Eastern region, AICTE and educationists. The state governor of Arunachal Pradesh is the de facto head of the highest body, NERIST Society, which consists of education ministers of all North Eastern States. The Board of Management is headed by the Chairman, Air Marshal (Retd.) Pranab Kumar Barbora.